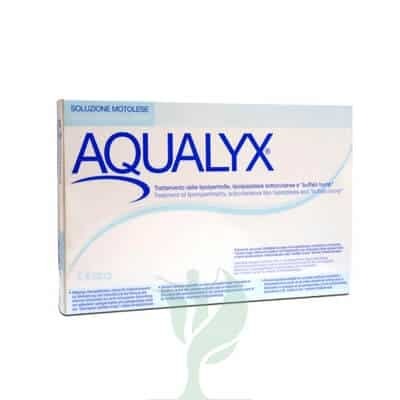 AQUALYX is an injectable solution made of the ingredients: water for injection purposes (87%), a polymer from 3, 6-Anhydro-L-Galactose and D-Galactose (0.5%), buffer systems (4.2%), sodium salt of (3%, 5%, 12%) – 3, 12-dihydroxy-5-cholan-24-acid (7.5%), and sodium chloride (0.8%). 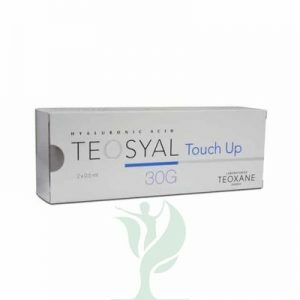 AQUALYX is meant to be injected into adipose tissue to reduce the appearance of stubborn pockets of fat that persist despite weight loss in other areas. Target areas of AQUALYX could include the thighs, hips, knee area, area beneath the buttocks, back, stomach, chin, and area beneath the chin. AQUALYX is also used to treat pseudo-gynaecomastia, which is breast-like fat deposits on men that are caused by weight gain. AQUALYX is meant to reduce the appearance of small areas of stubborn fat, not for general weight loss in obese patients. Use a cannula to inject AQUALYX into adipose tissues in two injection sites, using an anesthetic like Lidocaine separately or mixed with the solution if desired. After the injection, use an ultrasound device on the body’s surface to help dissipate the fat cells in the injection area. AQUALYX works by using 12alfa-dihydroxy-5beta-24-oico cholanic acid sodium salt to alter the fat cell membranes, and when you apply the ultrasound to the skin’s surface, the fat cells swell and break. The fatty liquid that is released from the fat cells drains into the body where it is metabolised and excreted using the lymphatic system. After the fat cells have been damaged by the AQUALYX injections and ultraound, the excess fat exits the patient’s body through urination. This localized fat removal helps to reduce the fat deposits in the target area, leading to a slimmer appearance in that area. Your patients may notice a difference after one or two thirty to sixty minutes AQUALYX treatment sessions. The best results will come after two to eight sets of AQUALYX injections, four weeks apart, but this varies by the area treated and on the individual patient and the volume of fat present. For example, between one and three AQUALYX injections may be all that is needed to reduce the look of excess chin fat, but fatty hips may require the entire set of eight AQUALYX injections.